If you’d like to get updates whenever I post new, click here to “Like Draw Near” on Facebook. I’m grateful for friends, new and old alike and am thankful for your presence here. Truly, such joy. It is early Saturday morning, and the kitchen calls. Not only the French press that I will approach like prayer, but the stainless steel mixing bowl, chilled in the fridge and mounded with chocolate chip cookie dough. Perhaps two batches worth, at least some of it good and ready for eating. Sunlight streams through the sheer white curtains of our bedroom, alighting on blue walls that draw my sleepy imagination from dough to the flutter of bird wings. I blink long and slow, my lashes replicating the waking of winged ones outside who make their call, tweet-tweet-crank ta-ta-ta-ta-ta. Glory be, it’s a new day. Soon I am at the counter, taking butter knife to block of dough like a determined sculptor with her chisel. Creating mounds of chilled butter, sugar, egg, flour and chocolate that I pop into my mouth, alongside coffee made just right by a long splash of half and half. Later in the morning, my eleven-year-old daughter and I, dressed still in jammie pants and tank tops, take our scoops and talk about foods that might await us in heaven. Always I’ve envisioned crab, crusty bread with butter, the freshest of mangoes, chocolate, nectarines, berries, pears and lush green salads, though this morning we wonder for the first time if maybe the clouds are made of cookie dough. This being heaven, after all. And I am wondering more and more if mornings might not be meant for imagining. Of bird wings and heavenly banquet tables, of a day’s possibilities. The sameness of sun rising and feet put to floor, yet each day holding a different mix of journeys and bowls and mysteries that we can’t fully know upon first blinks. 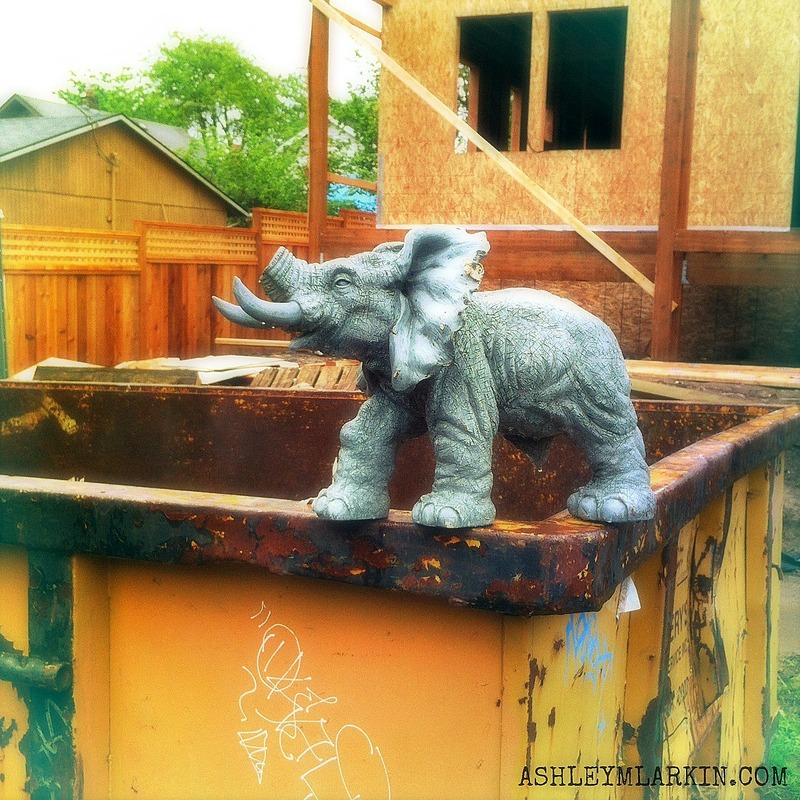 Several weeks ago, my friend and I walked and talked in the early morning until she stopped short, “Look at that,” she said, pointing to a plastic elephant with a broken trunk perched on the edge of a job site dumpster. We laughed at the absurdity of it and snapped some photos and wondered how it came to be, and my friend observed that you often see things early in the morning you would scarcely see in the fullness of day. Click here to go to Nacole’s blog and read the rest of this post, along with those of others expressing that which cannot be seen with things that can, in the Concrete Words series. 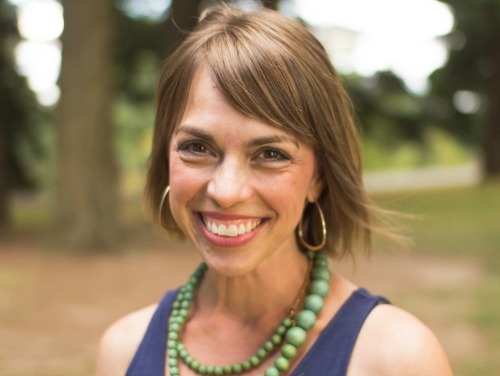 The worms….yuck! I’m telling myself maybe that was from flour gone bad and not from raw dough, Luanne. I just can’t bear the thought! From my own experience, I will tell you don’t store flour above the range top . . . . Haha, going to make you a paranoid like me. 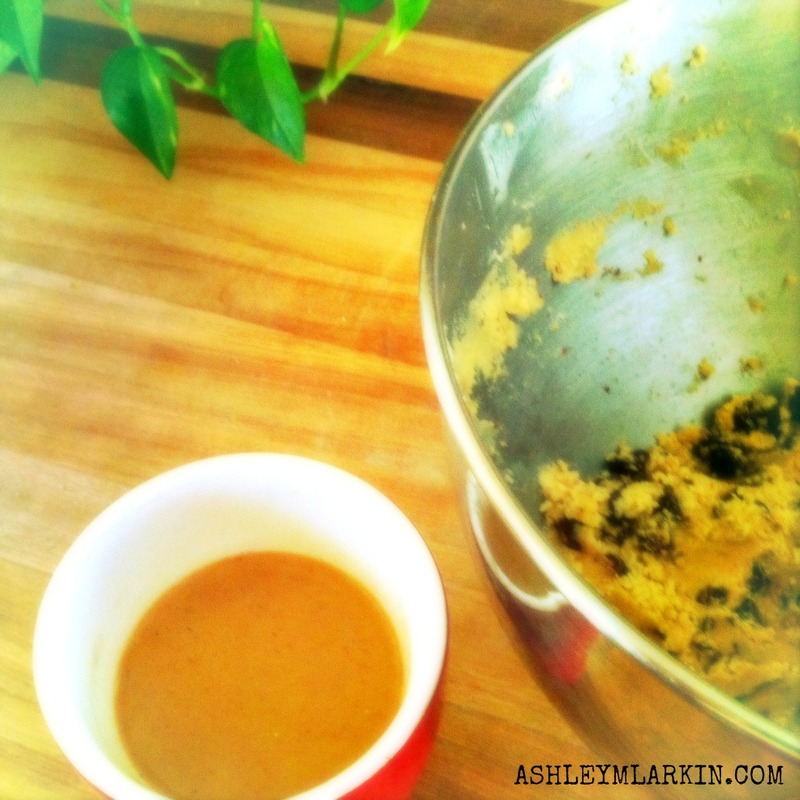 Cookie dough is a favorite here, too… and my dear doctor husband just turns his head and pretends he doesn’t see us as we lick our fingers in the kitchen. What’s life if it isn’t a bit of an adventure, right? LOVE your word art here, as always. And that elephant? Such a fun find- a reason to giggle beneath your breath all day. I’ll be taking my early walk with eyes wide open tomorrow! Oh, your poor husband. :-) That’s right…we’re just living up the adventure! Beautiful post Ashley! Love, love, love your honesty. I too must confess, though I have no problem passing on cookes once they’re baked, I like to make them for others so I can indulge in the dough! :) !